Today I thought I'd share a few photos from our portfolio. All three vanities are Diana Real marble. You can't see the details in the photo below very well, but the edge detail is an Ogee Square and the undermount sinks are square shaped. 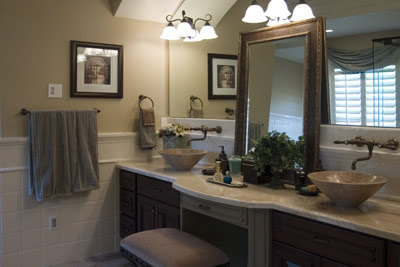 I may have shown this vanity here before, and if I did, I probably mentioned that I love the design of the vanity. The edge detail is a 1 1/4" Bevel. I love the bump out with the radius for the make-up table part of the vanity. The stone vessel sinks are really beautiful too. The edge detail on this vanity is an Ogee Square. 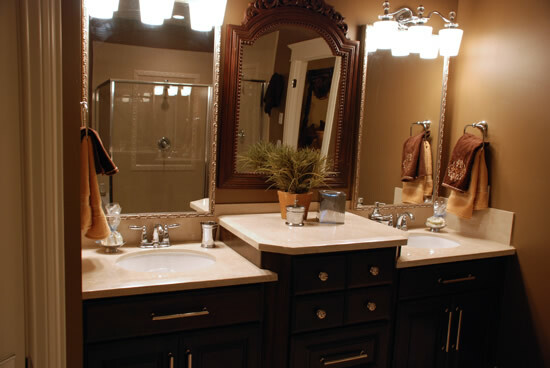 Click here to see more bathrooms from our portfolio. Have a great weekend! 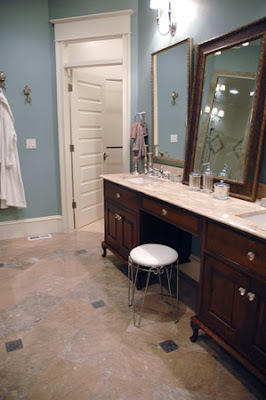 I am a Exporter, manufacturer and supplier of marble, granite and many other natural stones and are well known Indian Marble Manufacturerproviding all types of marble, granite and other natural stone products at most reasonable cost. We are best in this field.